Molly is the street name for ecstasy. While some people believe Molly is relatively harmless, it often is cut with other harmful drugs – drugs most people have no interest in taking. In short, Molly is not the drug they think it is. After the tragic loss of two youth that was linked to party drugs at the VELD Music Festival this past summer and recent seizures of ecstasy pills containing methamphetamine, Toronto Crime Stoppers felt compelled to raise awareness about this issue to help make our communities safer. Today, at a Toronto Police news conference Toronto Crime Stoppers launched a new campaign “Cookin’ with Molly” that aims to educate young adults and let them know that Molly is often laced with other drugs. Toronto, January, 2015 — Toronto Crime Stoppers launched its first public service campaign today that provokes recreational or party drug users to become more vigilant about MDMA, popularly known as ecstasy or Molly. 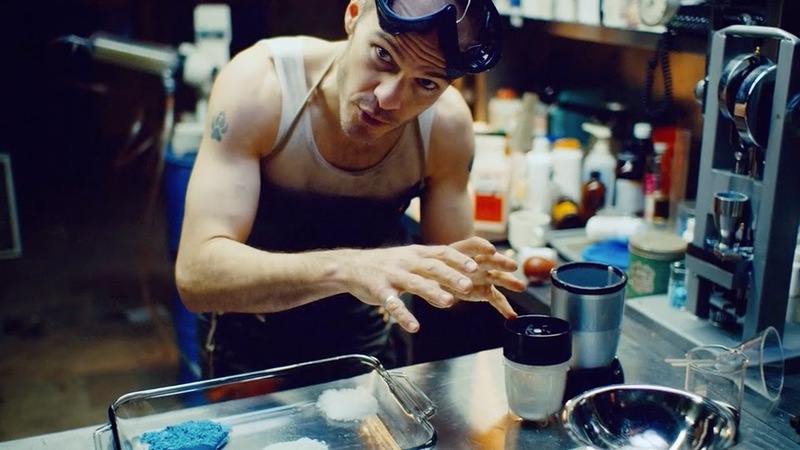 Warning consumers, “Molly is not the drug you think it is,” the new awareness-building initiative features a video, parodying a cooking show, where a drug lab “cook” shares his recipe for Molly laced with methamphetamine and bath salts. The “Cookin’ with Molly” creative, developed pro-bono by Toronto Crime Stoppers’ agency of record, DDB Canada Toronto, was unveiled at a Toronto Police news conference today to commemorate Crime Stoppers month. Targeting people between the ages of 15 and 25, the video is currently running online and is supported by preroll, newspaper and transit shelter ads, out of home advertising, and a social media outreach program. The creative drives consumers to www.cookinwithmolly.com, which offers additional content and shareable assets. Media planning services for this campaign were donated by OMD Canada. The creative will be in-field from January 9th through to the end of February 2015. DDB Canada is the most creatively acclaimed, internationally recognized marketing communications agency in Canada. The agency was named Top Creative Agency in strategy magazine's 2014 Creative Report Card and was ranked #1 agency in Canada by the Gunn Report in 2013. Known for advertising that generates significant results for clients, DDB Canada is a "total communications company" whose fundamental belief is that creativity is the most powerful force in business. DDB Canada has offices in Vancouver, Edmonton, Toronto and Montreal. The agency's integrated marketing disciplines include: youth marketing, public relations, event management digital, social, mobile, branding, design, direct, CRM, recruitment marketing and shopper marketing.